The 21-year old James Blake is definitely one of the most surprising new artists currently in the UK. His recent EP CMYK for many people is the most inspiring release for 2010. It came out through R&S label last may and is available on vinyl and digital release. If you ask me If what I think about this release or furthermore if this release is the best of James Blake so far , I would answer yes. I highly recommend this release , actually it would be great if you buy the vinyl instead the digital release. You can make your order at Juno download. 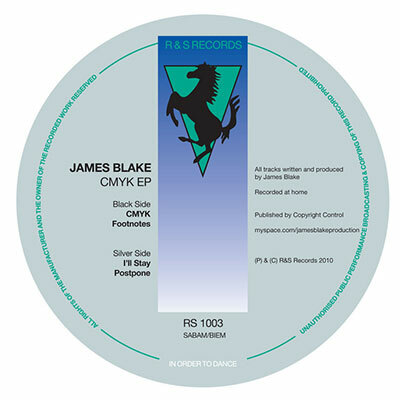 James Blake is certainly one of those artists , who his name is gonna be a constant topic in the electronic music scene. January 24, 2011 in artists, bass, best of 2010, dubstep, EP, releases, reviews, UK.